Siemens PLM Software and Modelon recently announced a partnership to use Modelon’s OPTIMICA Compiler Toolkit as the default Modelica engine in the latest release of SimcenterAmesim™ software. This partnership will allow SimcenterAmesim users to develop, reuse and integrate Modelica libraries with SimcenterAmesim native libraries for dynamic multi-physics systems modeling.While taking advantage of full Modelica standard support, users can benefit from the robust SimcenterAmesim solver and its powerful platform capabilities such as performance analyzer or linear analysis. This initial integration is the foundation for a partnership that will continue to strengthen, with plans for additional support for Modelon industrial libraries in future SimcenterAmesim releases. 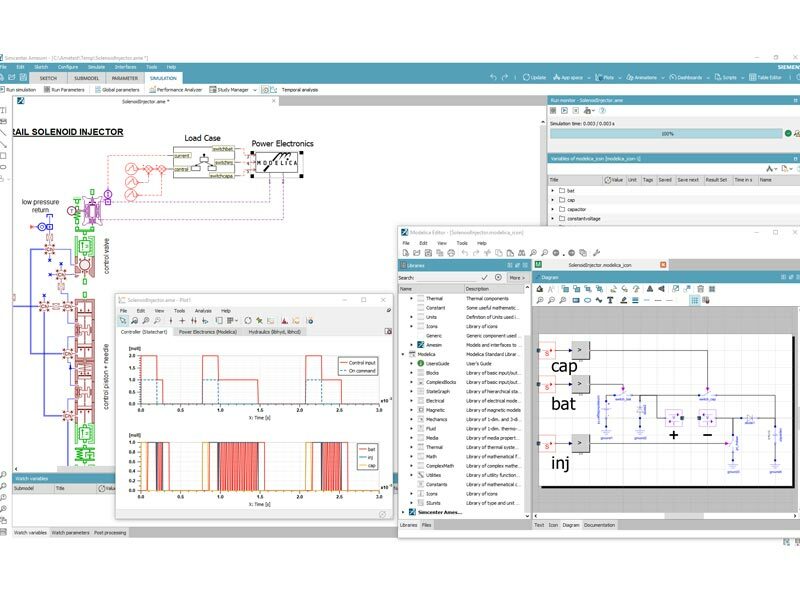 As an open software vendor, Siemens is pleased to reinforce the Modelica standard support, and continues to deliver solutions that interoperate effectively with other modeling environments through the use of interfaces and industry standards which empowers customers to adapt software for business-specific processes. For more information please see the Simcenter Community.